This site is located on the Bluff Trail near 198 Sounding, Sea Ranch, CA 95497, California. The Sea Ranch Archives Committee has identified twenty-six historic sites scattered about The Sea Ranch. They have constructed trail markers with information explaining the significance of each place. 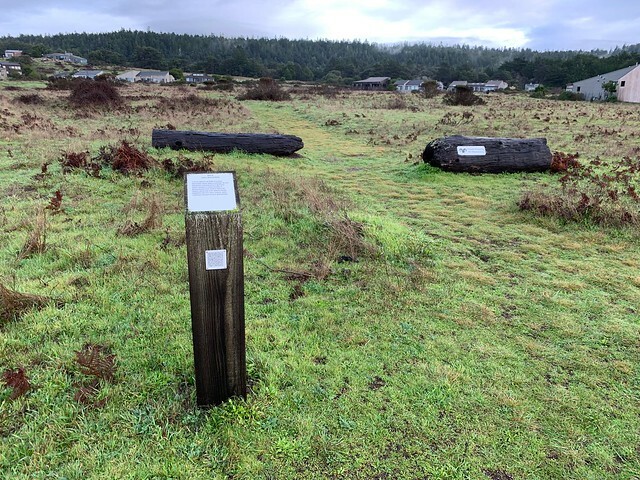 They were placed as part of The Sea Ranch 50th anniversary being celebrated from Memorial Day 2014 to Memorial Day 2015. 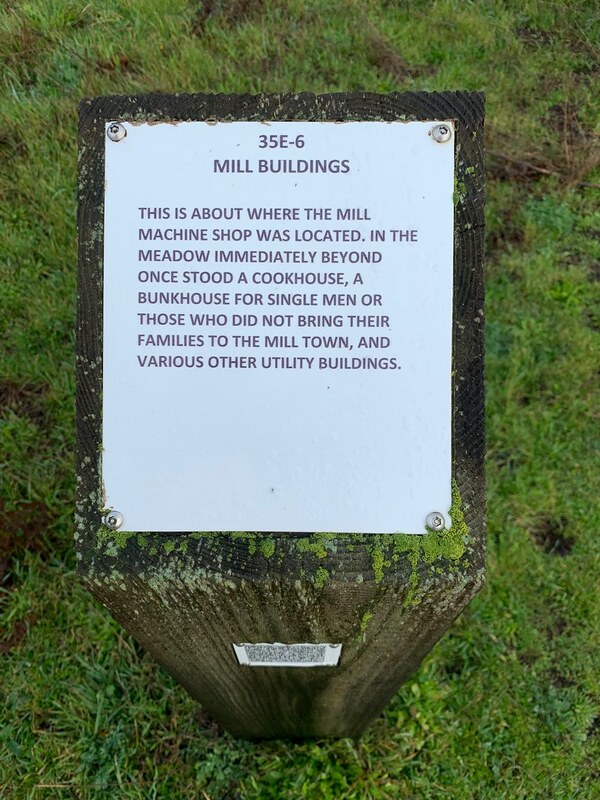 The GPS coordinates for this location are 38° 44' 29.7" N 123° 30' 25.8" W.
This is about where the mill machine ship was located, in the meadow immediately beyond once stood a cookhouse, a bunkhouse for single men or a those who did not bring their families to the mill town, and various other utility buildings.